Merry By The Tay – Stories of books, cakes and wanderings. On Friday the Boyo and I said farewell to the wee village in Fife we have called home for the past 2 years. We’ve enjoyed our time in the village but it was time for us to buy a home of our own. 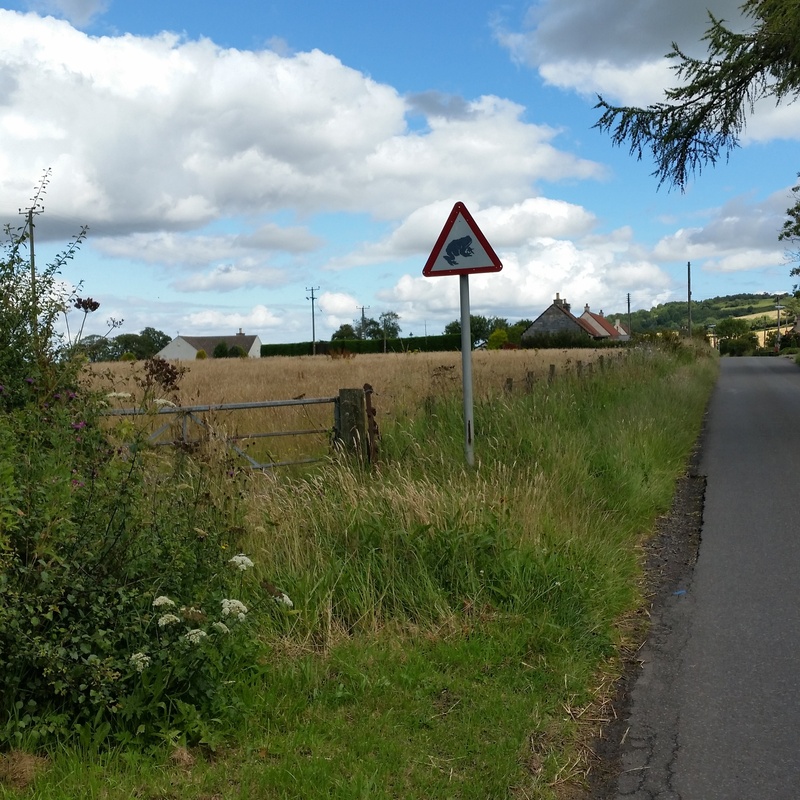 We decided to move closer to Dundee, I wanted to be a bit closer to some of our friends whilst I’m on maternity leave, the village we were living in felt a bit isolated at times and as I don’t have a car having things to do and people to see nearby felt a bit more important. This way we are close to Dundee but still in a smaller community, there are handy things like a Doctor, a library, a shop and a cafe within walking distance. It will be easier for family to visit us in our new location and we are equal distance from both my work and the Boyo’s work. I’m still hoping to keep my Guide Unit on in the village (after a maternity leave break Easter – September) but we are so, so happy to be in our new house. It was funny, we went to view this house as it was in the location we were after but from looking at the house details online we didn’t think we would be finding it to be particularly desirable to us. We were wrong. The house took us by surprise. A few months after that initial viewing we got the removal men in and my Mum came up to stay for a few days. On Friday a house we bought became our home. We really could not have managed without my Mum’s help with the move – I’m very pregnant, I waddle and I’m exhausted. My Dad is coming up to help with some DIY jobs soon and the Boyos family are coming over from N. Ireland to visit next week. We are so lucky to have friends and family around us who help us in whatever way they can. The Boyo and I now just can’t believe that we now have this view from our windows, we are a lucky, lucky pair indeed. Today I was chatting with a colleague about the future direction of our institution and what it could mean in terms of the library service we provide and how our job roles would possibly change. We chatted about my ambitions. I’m still fairly young (31) and I’ve been working in the library sector full time for 4 years now, so I’m still relatively ‘new’ in the profession. The thing is I don’t have any huge ambitions. I like my current role – a librarian in charge of a campus library but I don’t have any ambitions to climb further up the library career path. I am fortunate that my campus is small so I get to know many of our students and staff and spend quite a bit of my week working with them. I also manage budgets, work on the technical stuff with the LMS, manage orders, help with online resources and a whole load of other behind the scenes stuff. I have a diverse job and I like that. The further up you go the less time you get to be ‘public facing’ and truthfully it is the part I like the most. Prior to becoming a librarian I worked as an EFL teacher, I like working with people, I like seeing how a little bit of help or guidance can benefit a student and help them to achieve what they have set out to do. Truthfully I always envisioned that I would work in public libraries and I still think that working in a public library would allow me to get the most satisfaction from my job. However the public libraries are slowly being eroded, budget cuts are leading to job losses and library closures and stopping libraries from being part of the fabric of a community. It makes me sad that we are losing so much and I don’t think many people will truly realise that until it is too late. So much potential to play vital role in so many aspects of peoples lives and it is being squandered. Anyway back onto my job discussion. Whilst I like my job and at the moment spend the vast majority of my time at work, it is not the main driving force in my life. I like walks, baking, sewing and running my Guide Unit. I like having weekends and evenings to not think about work and I think keeping that balance would be very difficult the more senior the position. I don’t like it when my life is too busy or stressful, I get migraines. I like having time to see my family and friends. We are just about to have our first baby and we are fortunate that financially we can afford for me to take the full maternity year off and then go back to work part time. Exotic holidays and transforming our new house will have to wait but we can afford (we think, only time will really tell) for us as a family to have that balance and I am fortunate that my career ambitions are for me to hopefully stay in my current role or one similar but I don’t have that hunger or that drive and I’m content. I know we are privileged because for many they have to pursue the more time consuming roles just to be able to afford to keep the roofs over their heads and food for their family. I know we are lucky but I think the luckiest thing is to feel content, to be happy and satisfied. Many changes are coming my way, both personal and in my work life but I’ll keep trying to remember what it is that really makes me happy and to firmly keep hold of that and be thankful for what I have. P.s I know I have not blogged for a long time, there has been a lot going on but more cakes, tasty treats, walks, a new house, books and maybe even a baby will be on the way soon. I’ve been on instagram with a few snapshots if you are curious as to my winter goings on (mostly this has consisted of wishing hibernation was possible for humans). Oops I well and truly abandoned this blog for a while. Life got busy then complicated. At the end of the Summer The Boyo and I escaped on a much needed break for a week. Using a friends wedding in the middle of our holiday as a basis for our travel plans. Then it was the start of term for me and we’re short staffed and as usual at this time of the year super-duper busy. I got another ear infection, squeezed in two visits to my home town, organised a baby shower, saw Paolo Nutini live at the Glasgow Summer Sessions, the Guide Unit I run started back with me as solo Guider for now, we went on a days kayaking and goodness knows what else. I’ve been a bit under the weather recently and my appetite has suffered so I just have not been cooking as much, or with much variety recently so no tasty recipes to blog either. The October break is fast approaching and whilst I am working for most of it in Aberdeen The Boyo and I are going to escape for a long weekend to properly relax. We have a lot going on just now but mostly it is good busy… although I have to say I do really look forward to sleep! 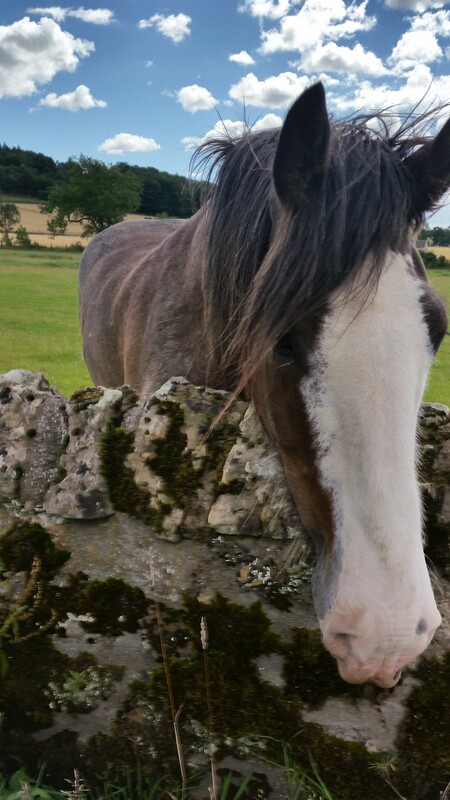 So our holiday in August was a trip round NE England. We split the trip into 4 parts. On the road down South we found completely by accident a little sandy cove and enjoyed a picnic in sunshine, it was a very pleasant start to our holiday. 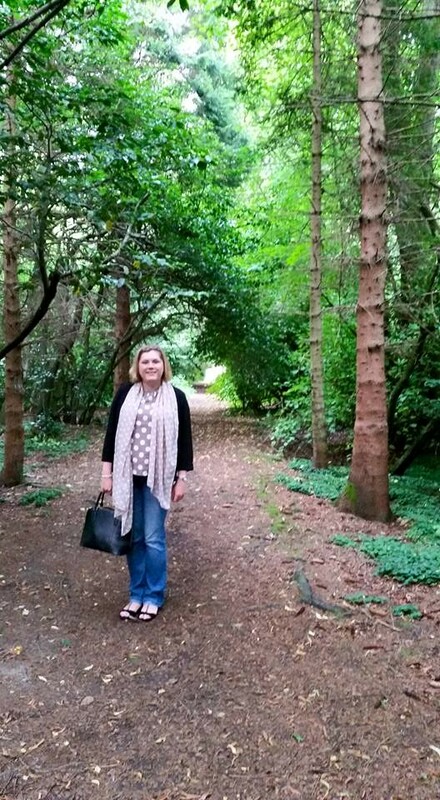 We spent 2 nights at Doxford Hall Hotel (very nice indeed!) and used that as a base to explore some of the sights in Northumberland. Bamburgh Castle, Holy Island of Lindisfarne, Alnmouth, Pride and Prejudice at Warkworth Castle, Alnwick Castle and The Alnwick Garden, Barter Books in Alnwick. The main reason for this trip was to go to a wedding and this wedding was held at Brewery! 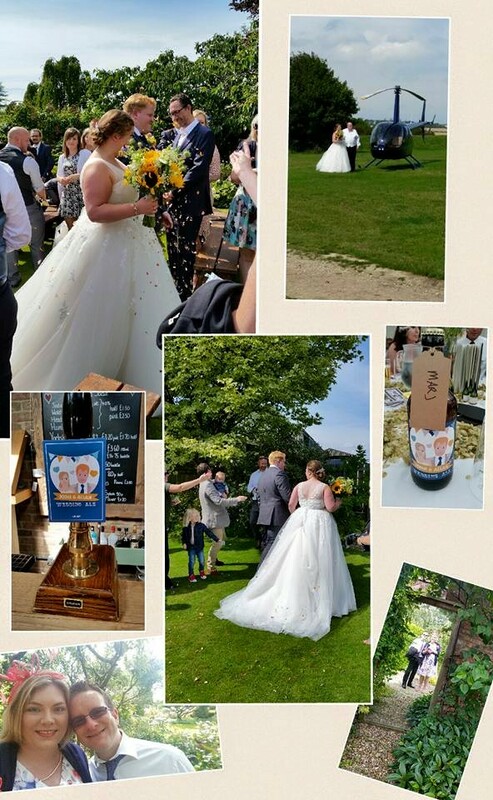 Our friends got married on a glorious day at Wold Top Brewery and the bride even arrived by helicopter! We stayed in a log cabin at Dale Farm and we enjoyed Pie (ENORMOUS portions) at the Piebald Inn the night before the wedding in Hunmanby. We would definitely like go back another time to do some of the outdoors activities the region offers. I had never been to York and was very keen to go. We found a hotel – Hedley House Hotel (it had a car park!) – just outside the city walls and packed quite a lot into 3 days there. 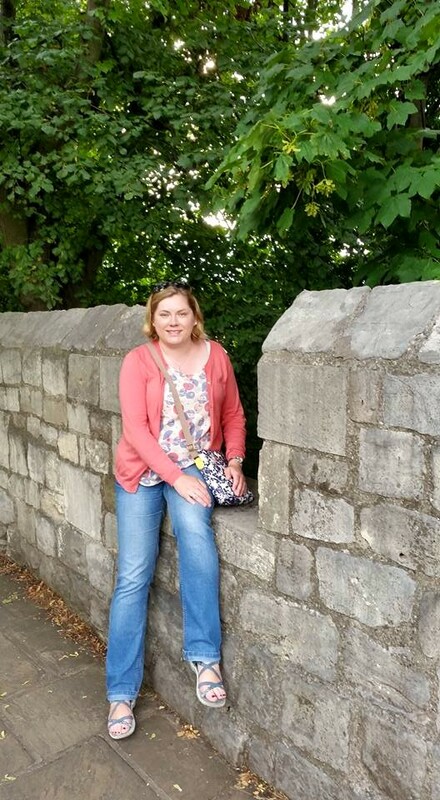 I had bought a Treasure Trail in advance for the trip and would definitely recommend it, we had one for the historic city centre and it was a great way to explore. 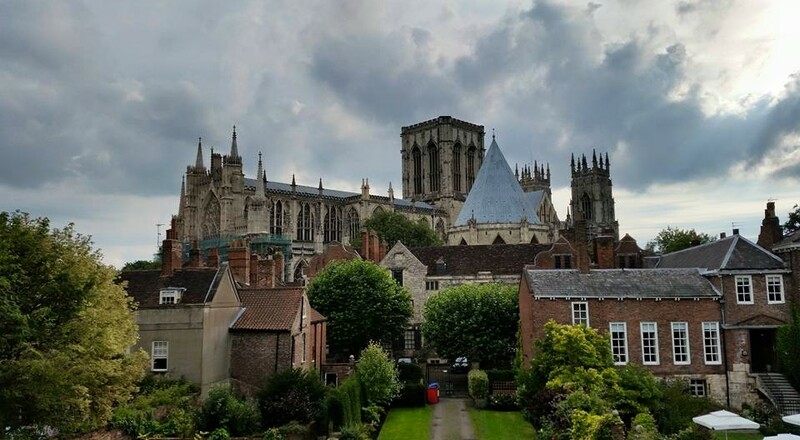 Other activities included: eating ice cream outside York Minster, Visiting & Climbing up York Minster, Riverboat tour, walk around city walls, The National Railway Museum (Free!) 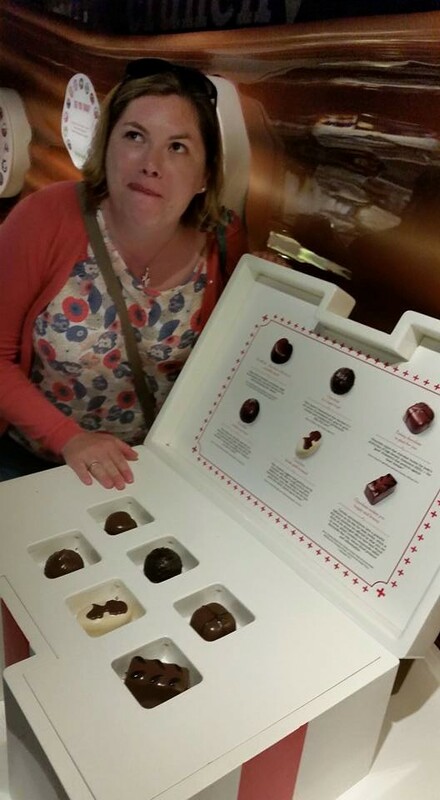 and The York Chocolate Story. 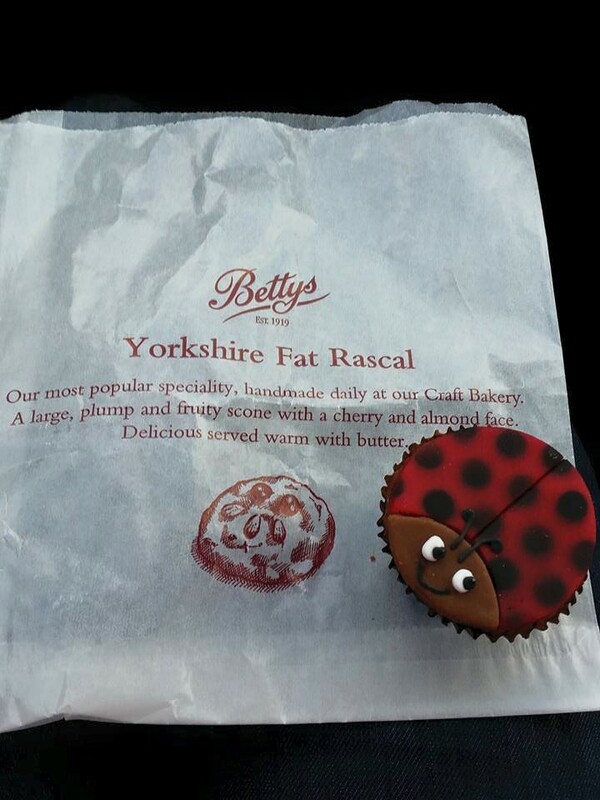 After a quick pop back into York to get a Tea Loaf at Bettys for my Gran it was time to start heading North again. We wanted a hotel with a pool that was roughly half way for us so we could have a relaxing evening after a fairly busy holiday. The MacDonald Linden Hall Hotel near Morpeth fit the bill and we did indeed have a nice relaxed time. After a week on the road exploring parts of England we had never been to before we were quite glad to get home in time to put the kettle on and put our feet up for an hour or so before dealing with washing and all the lovely domestic stuff! We had a wonderful and much needed break, the sun shone everyday and we only had 1 episode of rain (whilst we were trying to find somewhere to eat in York). The highlights for us were definitely The Alnwick Garden and The National Railway Museum. 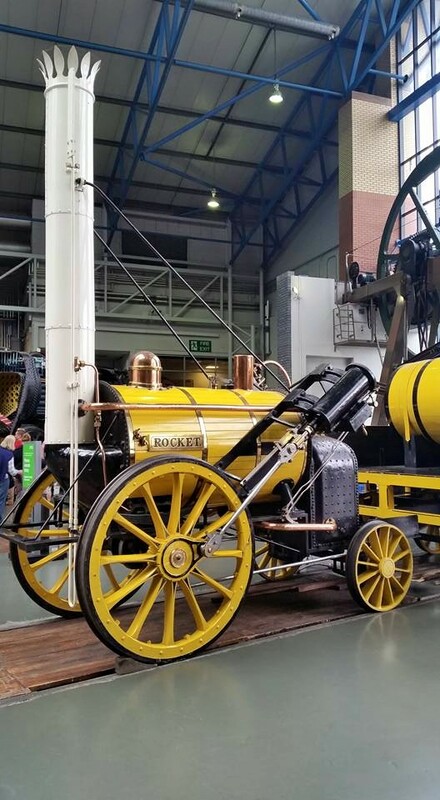 We spent nearly a whole day at the railway museum and would quite happily go again. It’s hard to believe that this holiday was nearly 2 months ago now and I’m definitely looking forward to the next adventure with my Boyo.